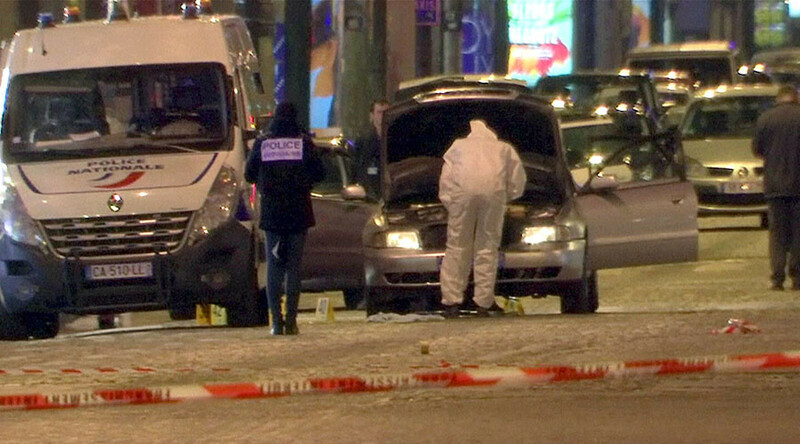 A note celebrating Islamic State and containing a list of key addresses was found near the body of Karim Cheurfi, who killed a policeman on Thursday night before being shot, according to French authorities. 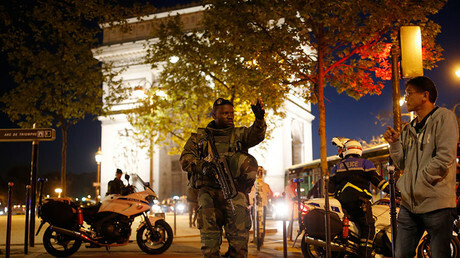 During a media briefing on Friday afternoon, anti-terrorism prosecutor Francois Molins said 39-year-old Cheurfi was carrying the note when he stopped his car at the Champs Elysees in the heart of Paris, before opening fire on a police vehicle, speculating that it likely fell out of the gunman’s pocket. 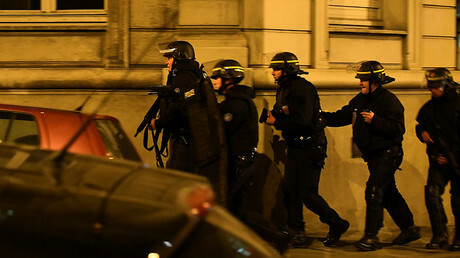 Citing inside sources, French channel BFMTV earlier claimed that the note had contained the address of France’s anti-terrorist agency DGSI, a local police station, and three gun shops. A Koran, several knives and a shotgun were also found in Cheurfi’s car, according to AFP sources. As well as killing 37-year-old Xavier Jugele, Cheurfi, who had served over a decade in prison on four charges, including attacking officers, also significantly wounded two other policemen, and lightly injured a foreign tourist caught up in the incident. Other reports in the French media have suggested that Cheurfi had been detained after trying to obtain weapons in order to “kill police officers.” He also allegedly bought commando knives, a mini-camera, and masks on the internet. Despite the sustained interest, Cheurfi was not put on the 10,000-long “S list” of priority terrorist suspects. "He was not on the security watch list and had shown no signs of radicalization despite his many years in prison," said Francois Molins, quoted by Reuters. Police, who are still holding several members of his family for interviews, say that they are investigating if Cheurfi had accomplices. Islamic State had earlier released a statement crediting Abu Yousif al-Belgiki (Abu Yousif the Belgian) for the terrorist attack. Speaking on Friday, Belgian Interior Minister Jan Jambon denied that Cheurfi had Belgian citizenship, and insisted that Abu Yousif al-Belgiki "is certainly not the guy who committed the crime yesterday."